Heartland Water Technology, Inc. develops and markets proprietary wastewater treatment technologies. 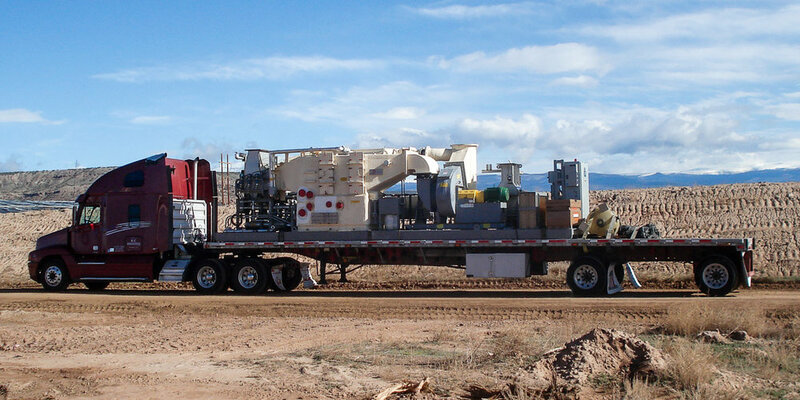 Heartland has developed an innovative direct-contact heat exchange concentrator that is a simple, robust and reliable treatment solution for challenging wastewaters. The Heartland Concentrator™ is a rugged and cost-effective solution that can concentrate the widest range of industrial wastewaters all the way to zero liquid discharge (ZLD) in one a single unit operation. The Heartland Concentrator™ is a ‘direct-contact evaporator’ – where hot gases are mixed directly with feedwaters in Heartland’s proprietary Low-momentum, High-turbulence (LM-HT) mixer. Waste-heat from turbines or engines can be used for evaporation in our energy efficient CoVAP cogeneration solution. Our technology overcomes the traditional problems of corrosion and fouling that plague other evaporators, and sets new benchmarks for simplicity and reliability. A 600+ acre municipal solid waste landfill in Virginia generates approximately 90,000 gallons per day of landfill leachate requiring costly hauling for disposal. The site is equipped with a landfill gas collection and control system and compli­mentary landfill gas-to-energy recovery system including four Solar Centaur 40 combustion turbines. Heartland Concentrators were installed and now manage 100% of site’s leachate resulting in more than 50% reduction in leachate treatment costs and over $3M in annual savings. The site’s operations team has proudly achieved greater than 97% uptime. An integrated Concentrator from Heartland Water Technology, Inc. captured waste heat from six compressors to treat 30,000 GPD Marcellus shale produced water to zero liquid discharge. Water World magazine article “Cogeneration technology helps landfills reduce wastewater management costs". February 2018. Natural Gas and Electricity Magazine article “Cogeneration for Industrial Wastewater Evaporation has Rapid Payback”. November 2018.